Length: 155mm. Image shows painted and assembled kit. 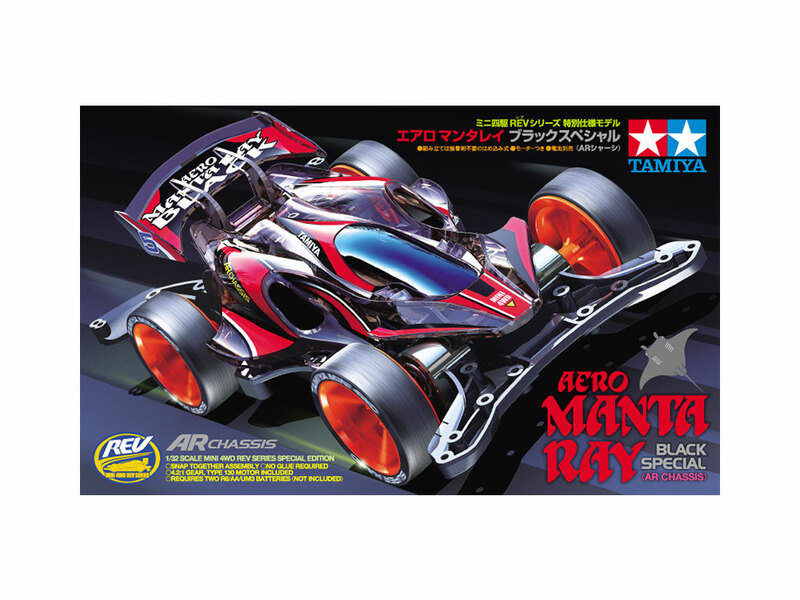 This kit creates a Black Special version of the aerodynamically honed Aero Manta Ray, with the unmistakable body molded in tinted Smoke ABS resin. Stickers are included in the kit to create a red-themed marking scheme inspired by the classic Manta Ray Jr. Black Special. Fittingly, the AR chassis is molded in black (polycarbonate-ABS), with matching black A parts in low-friction resin. Fluorescent oranage 6-spoke wheels are paired with super hard black tires featuring white sidewall lettering for a racy look. 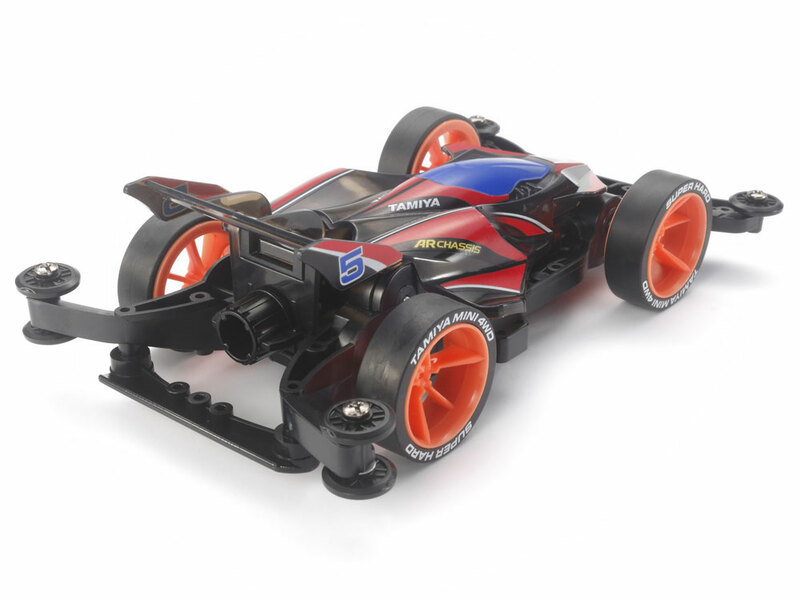 The AR chassis is designed to offer its driver durability, customizability and ease of maintenance, all of which are vital ingredients for a successful Mini 4WD racer. 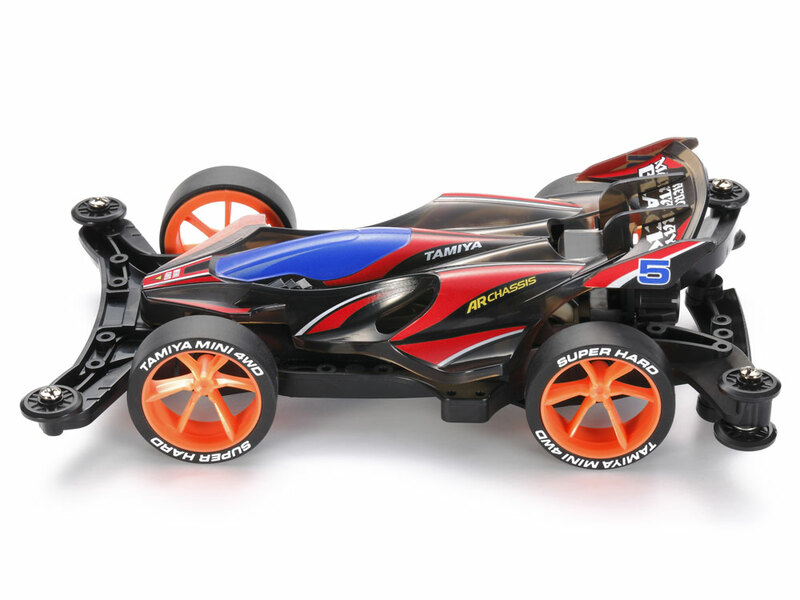 Its aerodynamic form smoothly allows air to pass through the chassis interior as the machine runs, cooling the batteries and motor and extending their effectiveness. 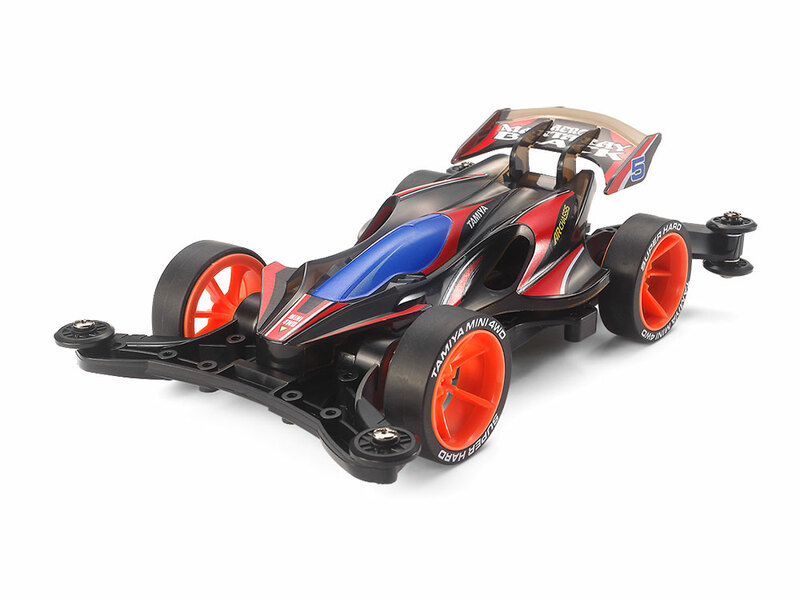 The underpanel and diffuser can be removed from the model without taking off the body, while a low-friction rear skid bar is fitted to slash time loss experienced on tricky slope sections, and keep the racer on the track where it belongs. Features a 4.2:1 gear ratio.